Current Feedback amplification is a well known, Marantz' original circuit technology. The Current Feedback amplifier technology fits perfectly with the high requirements set for Super Audio software providing wide-bandwidth, high-speed reproduction. The impedance at the Current Feedback point is limited resulting in a very low phase shift. 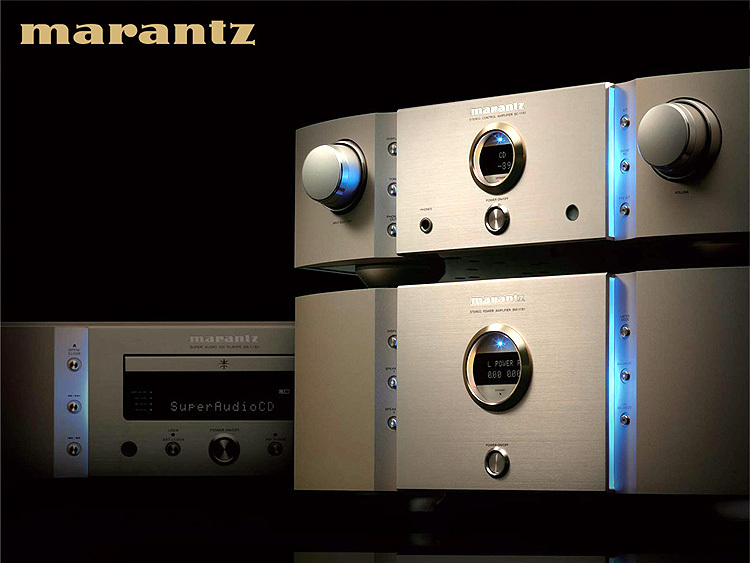 Marantz receivers and amplifiers equipped with Current Feedback can keep the phase compensation via Negative FeedBack (NFB) to a minimum, resulting in high through-rate, excellent transient response and superb sonic transparency for the full bandwidth. Unlike conventional Voltage Feedback amplification, the Current Feedback amplification makes the power amplifier in-sensitive to difficult loudspeaker loads.